Why does God always give Israel the victory? Why do all Israel’s enemies ultimately perish? The answer to each of these questions is- because of God’s unique relationship with Israel. God chose Israel to be His witness and be the vessel through which to bring the Redeemer. God tied His reputation and plan of redemption to the people of Israel. Obviously if God chose Israel to manifest His glory, then she would also become the focused enemy of Satan. Satan’s pride reasoned that if he could destroy Israel, God’s plan of redemption would be thwarted. Thus Israel became the battleground between God and Satan. Of course, God warned Satan that although Satan would appear to win the victory, ultimately Israel’s descendant, Jesus the Redeemer, would destroy Satan. PROCLAIM ISRAEL’S VICTORY OVER ALL HER ENEMIES THROUGH THE ULTIMATE DESCENDANT OF ISRAEL – JESUS THE MESSIAH. 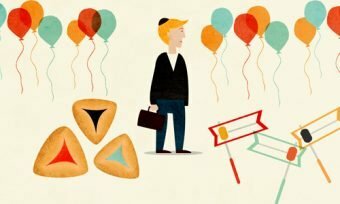 This entry was posted in God’s Unique Relationship with Israel, Holidays, Purim - The Feast of Esther and tagged Genesis 3:14-15.